The restaurant and food service industry in Texas beings in almost $52.4 billion in revenue each year. There are over 1,239,600 jobs in the field with an expected growth of almost 18% expected by 2026. Industry leaders are looking for the best culinary professionals in the field and those with a degree or certificate are in demand. With over 43,670 eating and drinking establishments in the state, competition is fierce as culinary professionals compete to work at the finest restaurants, hotels, and resorts. Having a degree or certificate makes a job candidate stand out and get noticed. We created a list of the top 10 best culinary schools in Texas. Schools featured in our list have a hands on learning environment and offer a practicum, internship, or externship opportunity. We looked for schools with a low student to faculty ratio as we recognize the importance of individualized attention both in the classroom and the kitchen environment. The International Culinary School At the Art Institute of Houston is a top culinary school featuring a wide variety of degree programs and certificates for professionals at all levels of the career ladder. Students at the International Culinary School have the opportunity to mentor high school culinary students and demonstrate healthy cooking techniques to the community through community outreach programs. Events such as the “Guest Chef” allow students to learn from some of the finest chefs in the area as they prepare a meal to serve to guests. The International Culinary School features a state-of-the-art learning environment where students learn professional skills and techniques both in business and in the kitchen. The ICC is accredited by the American Culinary Federation. Tarrant County College is a top culinary school offering an AAS Degree in Culinary Arts and 3 different Certificates. The AAS can be earned in two years, with several courses transferring to a four year institution. Students have access to a state-of-the-art learning environment with professional food service and dining facilities on the Southeast Campus. Courses cover areas such as dining room service, garde manger, facilities layout, International cuisine, and food preparation. A practicum experience is required to give students the opportunity to gain professional work experience before they begin their career. Graduates have experience with food preparation, good communication skills, nutritional knowledge, a good work ethic, and technology skills. Courses cover areas such as dining room service, garde manger, facilities layout, International cuisine, and food preparation. The Institute of Hospitality and Culinary Education at Collin County Community College features a state-of-the-art learning environment which includes a fine dining restaurant. The Red Room is an on campus dining facility staffed by both the A La Carte Cooking Class and the Dining Room Service students. The opportunity for these students to work together while gaining professional experience is unique among student-run restaurants. This accredited culinary school also features certificate programs with specific courses in specialized areas to get students ready for employment in about a year. Advanced Certificates can only be earned after students have completed a lower level certificate or their AAS degree. The Culinary Institute of LeNotre is a top culinary school featuring an exceptional curriculum designed for those interested in a variety of positions in the industry including leadership, service, marketing, and management. The AAS degree program can be completed in as few as 80 weeks if attending full time or 120 week if attending part time. There are four different minors available including either Culinary Arts or Baking and Pastry; LeNotre Sommelier, Management, and Hotel. While working in kitchen labs, students can select from morning, afternoon, or evening shifts. Diploma programs are either 50 or 60 weeks and feature a practicum experience. San Jacinto College is a top culinary school featuring programs for those interested in working in the kitchen or managing a restaurant. The program is accredited by the American Culinary Federation, allowing students to graduates as a Certified Culinarian. Students receive professional training out in the field as part of the program allowing them to develop and build their business skills. Specializations are available for those interested in becoming an Assistant Cook, Baker, Baker’s Helper, Basic Cooking, or Specialty Foods. 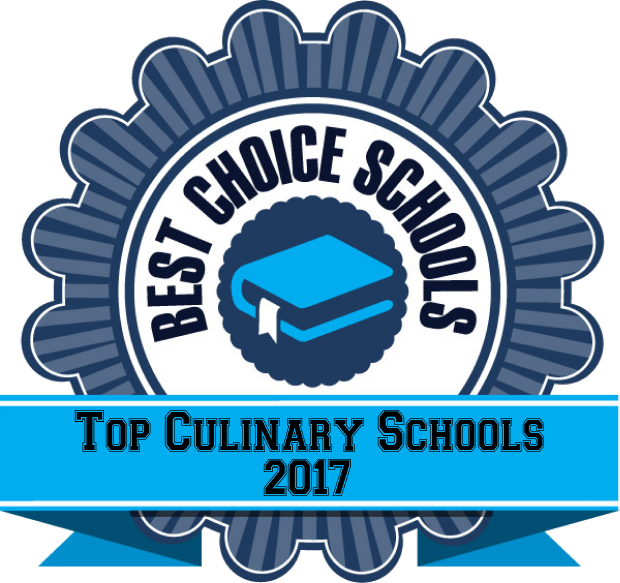 Del Mar College is a top culinary schools featuring AAS Degree programs in Baking and Pastry Arts as well as Culinary Arts that have earned exemplary status through the American Culinary Federation. Students learn in a hands-on environment and have the opportunity to master their skills both on and off-campus. Coursework is offered in basic and advanced culinary techniques as well as sanitation, safety, management, and dining services. The International Culinary School At The Art Institute of Dallas features a state-of-the-art learning environment with the opportunity for students to make an impact in their community with their talent. Students participated in the American Liver Fund’s “Flavors of Dallas” by preparing a five course meal to raise money for AFL. Students have the opportunity to learn both American and International culinary techniques. Graduates are prepared to work in restaurants, hotels, resorts, and clubs in a variety of positions. St. Philips College in San Antonio has a variety of degree and certificate programs for students who want to continue their education in the food industry. San Antonio is a great environment for this type of program since the hospitality industry is the city’s second largest industry, bringing in almost $4 billion each year. Students in the AAS degree program can graduate in just two years and complete a practicum experience in their final program semester. Advanced students have the opportunity to spend time working at Artemisia’s, a classroom-restaurant, allowing students to prepare and serve both lunch and dinner to students, faculty, and the public. Austin Community College offers both AAS degrees and certificates in Culinary Arts and Baking and Pastry. Students learn basic and advanced cooking techniques in a state of the art commercial kitchen. Students have the opportunity to demonstrate their skills through catering, competitions, and study abroad opportunities not traditionally available to culinary students. Austin Community College features flexible schedule options that allow students to continue working while they go to school. Two on campus restaurants, Riverbats Café and Bistro 3158 give students the opportunity to demonstrate their culinary skills while preparing and serving meals to the public. El Centro College in Dallas, Texas features three different AAS degree programs in Culinary Arts, Bakery/Pastry Arts, and Food and Hospitality Service. Certificate programs are also offered by El Central College. The AAS degree programs are accredited by the American Culinary Federation, an indicator of academic rigor. Students have the opportunity to take courses during the day, evening, or on Saturdays. The Food and Hospitality Institute features a full service fine dining restaurant allowing students to apply their skills and knowledge in food preparing and serving. Students are also required to complete a practicum or cooperative education experience in order to gain professional experience. Another opportunity open to students is the Culinary Students Association. The CSA is an on campus organization open to culinary students who want to network and compete against other schools in culinary competitions.